Ah, New York, the city that never sleeps. Famous for its hot pretzel carts, gorgeous sky-line and some of the best shopping and entertainment in the world; visitors don’t have to look far for their next adventure. But as much as we like to think we know New York through its many TV, film and movies that made this city cinematically famous, there are many other interesting facts that may come as a surprise. Here are 10 New York trivia facts you never knew. In the 1600’s, European settlers landed on the shores of what is now known as New York State. They brought with them numerous seed varieties in the hopes of planting them in their new home across the Atlantic. It is from this that the first apple orchard was started in New York State. It’s hard to believe that such a common fruit was actually introduced to North America. One would be forgiven for thinking apples just grew on trees everywhere? Search and book New York City food tours here. 2. Where did the term ‘Big Apple’ come from? It has become such a familiar term and one used around the world – “the Big Apple”. But where did it come from? One might expect the moniker to come from the European settlers introducing apples in the 1600’s? Nope. It was actually coined by a local New York City musician community. The ‘Big Apple’ was a term used when trying to hit the big time. If you hit the ‘big apple’, then you know you made it! Originally marketed as ‘Gayetty’s medicated paper for the water closet’, the important invention of toilet paper by Joseph C Gayetty of New York City in 1857 was originally made from pure Manila Hemp Paper. With aloe vera used for lubrication (the original was not as soft as today’s variety) it was originally marketed as an anti-haemorrhoid remedy. Interestingly it wasn’t until 1935 that a splinter-free version of toilet paper was invented. Splinter-free? Ouch! Now we know! It’s hard to imagine what daily life might have been like in the 1700’s. Living and working on a farm or ranch was a big part of 18th century life, where ‘cowboys’ ruled the land. When Deep Hollow Ranch was started in 1747, not even the original owners could have foreseen that over 260 years later the ranch would be crowned as the oldest continuously run cattle ranch in the country. Located on Montauk Long Island, it’s also open to the public for horse trail rides throughout the year. It’s one of America’s oldest national parks but there’s a good chance you’ve never heard of it. You may be surprised to learn that Adirondack Park, with a land mass of over 6.1 million acres, is the largest park in all the United States. Located in Upstate New York and the largest National Historic Landmark, Adirondack Park has a greater land mass then all of Grand Canyon, Yellowstone, Glacier, Great Smoky Mountains and Yosemite combined! And who said size doesn’t matter. 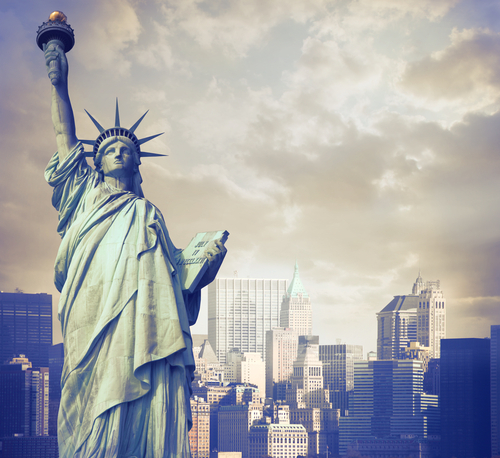 CityPASS New York City – Save 40% or more on these top 6 New York City attractions. While France issued the very first license plate in 1893, it was in 1901 that New York State was the first to require this handy automotive identification form to be legally displayed on all vehicles. Amazingly motorists were originally responsible for making their own number plates as they were not Government issued. In 1903 Massachusetts become the first state to issue plates with other states soon to follow. The first public brewery in America was established by Peter Minuit at Market Field (Marckvelt) in lower Manhattan. The brewery was located in lower Manhattan in the modern-day Financial District near Wall Street. The Dutch colonial governor converted a log cabin into the popular Marckvelt hang out where the brown ale became the choice lager of the time. It even became a common breakfast beverage. Now that’s an interesting way to start the day. The year was 1897. Gennaro Lombardi, an Italian immigrant, arrives in New York and opens a corner store on Spring St, Little Italy. Another Italian immigrant Antonio Totonno Pero started making traditional pizza to sell via the store and soon the lines streamed around the block. 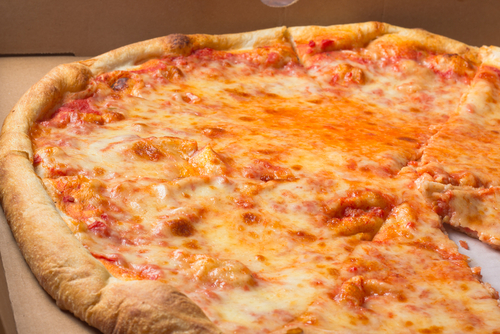 Altering the pizza with an American twist, the New York Pizza was officially invented. One of the cities oldest eateries is now over 110 years old and still serving traditional pizzas and other Italian favourites. Thin crust, New York City style pizza. As they say “everything that is old is new again”. Amazingly, 3D films have been around since 1915 with the very first film shown at the original Astor Theater in Manhattan. Los Angeles studios popularized the motion picture effect in the early 1920s and kept movie audiences coming back for years. While 3D waned, it enjoyed a resurgence in the 1950s and again in the 1980s when IMAX theatres became cinematic staples. One thing that has not changed is those crazy glasses that need to be worn for the full effect. From today’s standards it’s amazing to think that it could take an entire day to travel 16 miles or 26km as the crow flies. But in 1831 this was the typical travel time between the New York towns of Albany and Schenectady. With the intention of bypassing the Erie Canal the total travel time was reduced to approximately one hour. A huge time savings in time, money and effort, the benefits to commerce were enormous. So in 1825 Mohawk & Hudson Rail Road Company was formed by an Albany local resident with the railroad opening in September 1831 making it the first railroad to open in New York State and one of the first in the United States.